BRUSSELS: A stable future hangs in the balance.While Europe tries to tackle climate change and energy supply, the process is greatly hampered by lack of cohesion. The Energy Efficiency Directive is currently under debate to meet Europe’s changing energy needs. Achieve a 20% reduction in greenhouse gas emissions. Mandatory. Increase to 20% the share of renewable energy input. Mandatory. Achieve a a 20% energy efficiency increase. Not mandatory. Seeks binding measures, does not propose the 20% overall target as binding. Photo: Tabitha Fletcher. From the inside looking out. The European Parliament is not so united. Imagine your power bill was three times the amount now that it was in 2002. Now imagine that your leaders had known about this impending crisis for years, but had failed to tackle the problem. The International Energy Agency, announced that energy prices will become “viciously more expensive” in its Annual World Energy Outlook report, last week.The European Union imports over 80% of it’s energy resources. The scale of this operation is vast. In broad terms, it is millions tonnes of oil, coal, and gas per year. For consumers living in the EU this means power bills will inevitably rise as fuel costs increase. Last year Eurostat showed that household electricity prices in the EU rose 5.1%, and gas prices by 7.7% in the latter half of 2010 compared with 2009. In Lithuania increases were as high as 31%. The EED itself says that, “Energy efficiency is the most cost-effective and fastest way to increase security of supply, and is an effective way to reduce the greenhouse gases emissions responsible for climate change”. Member states are arguing that they should have the final say about how they deal with this. The big players especially are disputing major points of the deal. The UK, for example, a member with sizable consumption, is not in favour of a binding target. They believe the requirements will be met by their existing policies. If there is no blanket EU legislation though, there can be no means for reprise or incentive to act as others do, which is often the driving force for EU directives. Public buildings represent approximately 12% of EU buildings, so the savings would be significant. The Directive gives states an optout renovate social housing, however. The very people who would benefit from this the most, and are most vulnerable to rising energy costs would miss out. The UK’s position is that this will should only be done where buildings are over 250 square feet. Small police stations and post offices would likely miss out too. Originally the 20% efficiency target was to be made binding. This has been scrapped. The focus is now on the means to meet it. In place is now the ‘wait and see’ approach. In 2014, will the EU will review again to see if they are on track to meet their goal. Only then, if it still falls short will it table binding targets. This only allows six years for the legislation to be settled and ratified in the individual member states, and only then can actions to meet the target to commence. The likelihood for success is dramatically reduced. NGOs and business groups have worked steadily to inform the process. A report prepared by WWF, Climate Action Network Europe and Friends of the Earth, which helped in having the EED tabled, asserts that aside from investment and reduction in energy bills, energy savings will help alleviate the financial crisis, saving Europe up to €200 billion every year. The report also predicts that up to 2 million local jobs could be created, via energy companies selling insulation and window glazing, not just energy. Although it concedes a current skills shortage. The Coalition for Energy Savings, which consists of over 23 business associations and civil society groups, Including the Architects council of Europe and the Buildings Performance Institute Europe also backs the need for mandatory targets. The agenda is being pushed not just by green groups. 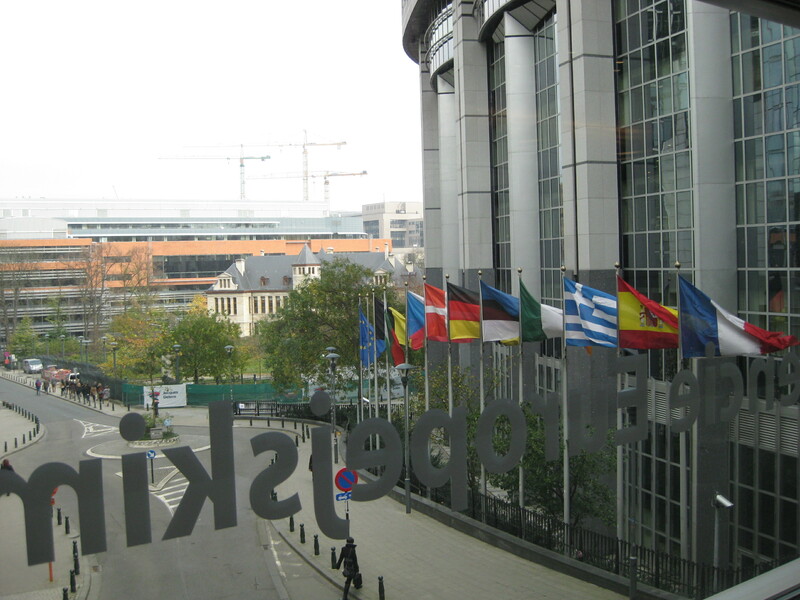 European businesses see the advantages of the goal a binding push towards energy efficiency. Energy efficiency was briefly mentioned at the four hour forum. Daniel Guyader, Head of the Division for Global issues at the European External Action Service said, “we are trying to promote efficiency as much as possible abroad, especially clean technologies… We can’t just look at gas supply as the whole.” However, this was the only discussion of this topic. The Commission’s own figures show that without a binding target, the goal of 20% more energy efficiency cannot be achieved. Brook Riley, energy campaigner from Friends of the Earth Europe agrees. “The measures on their own are not enough. They are not all to be made mandatory. The commission’s figures show that even if all measures were followed, the 20% goal would not be met.” When asked if he saw the emphasis being put on gas, on the other side of the debate as a big obstacle, he is not taken aback. The debate continues. A result is expected towards the end of 2012.